How Has Technology Impacted Private Music Tutors? Why Bother Studying For RGT Popular Music Theory Exams? 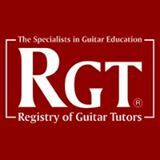 Copyright © 2019 Registry of Guitar Tutors. All Rights Reserved.